Wintergreen essential oil is invigorating. It has the odor of strong wintergreen or teaberry plants. It uplifts the spirit and revitalizes the mind with a refreshing aroma that is woody, cooling, and spells sharply of wintergreen. 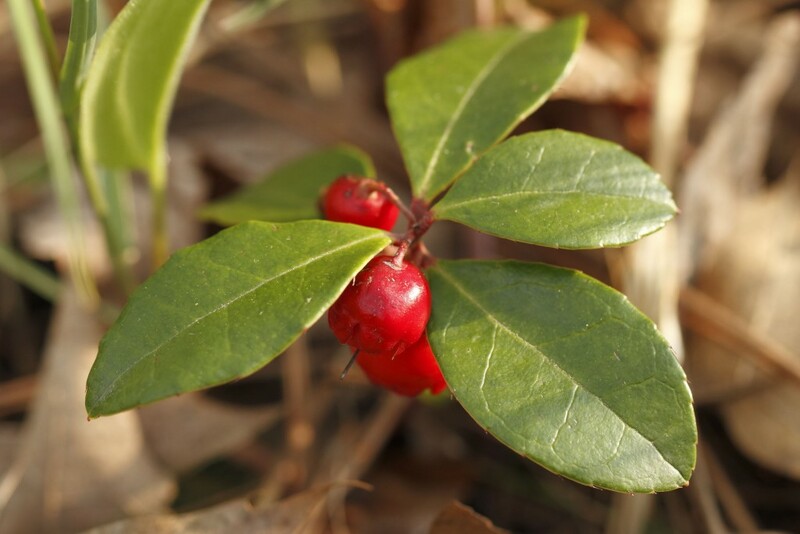 Many say that wintergreen is nature’s aspirin. Its cortisone effects have been widely documented, and due to its pain relieving capabilities wintergreen is very popular with people suffering from rheumatism, arthritis, gout, chronic pain, carpal tunnel, and more. * Wintergreen helps to reduce spasms and eliminates pain thereby inducing needed relaxation. Wintergreen’s other reported therapeutic benefits are deodorant, mental alertness, gallbladder function stimulation, aids in promoting a positive self-image and forgiveness. Wintergreen helps to rely on the divine, increases inner strength and ability to let go and surrender. Helps those who need to control or always be right. If using Wintergreen for emotional wellness, try using it with our free EFT Tapping scripts for Protection which help release these emotional issues. Wintergreen essential oil blends well with birch, cajeput, oregano, peppermint, spearmint, thyme, ylang ylang. Wintergreen can be mixed with oil, cream and skin lotions. ​Do not use while pregnant or nursing. If you have had a history of health problems, consult your physician before use. Do not use if taking blood thinning prescriptions. Do not use on entire body. May be harmful if swallowed consult a poison control center or emergency room immediately if accidentally consumed. Keep away from children. Do not use if taking anticoagulant medication, planning or if you have had major surgery, or if you have hemophilia, or another bleeding disorder, not recommended for usage in persons who take aspirin regularly or are allergic to aspirin.